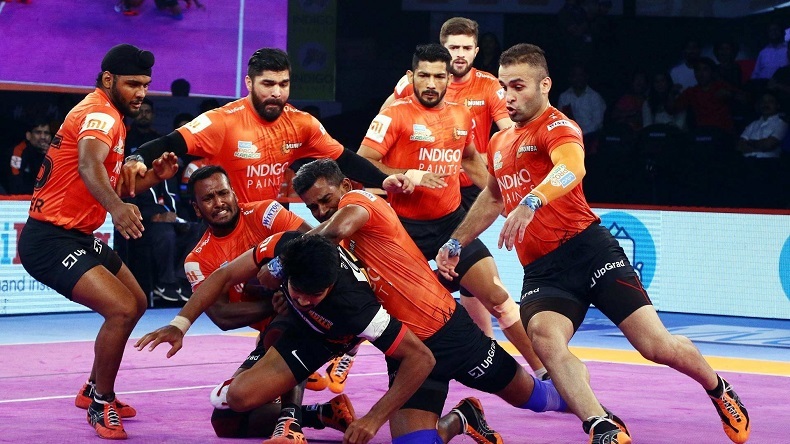 Pro Kabaddi League 2018, U Mumba vs Tamil Thalaivas live streaming: The PKL 2018 match will start from 9 pm India time on Thursday in Mumbai. It will be telecast live on Star Sports 2 and Star Sports 2 HD while the live streaming of the kabaddi match will be available on Hotstar.com and Hotstar app. Pro Kabaddi League 2018, U Mumba vs Tamil Thalaivas live streaming: Tamil Thalaivas endured a difficult return to PKL 6 after a gap of 11 days when they faced Haryana Steelers in their previous outing and on Thursday when they lock horns with an in-form U Mumba side, they will look to bounce back from the disappointing draw. While the Mumbai team will look to continue their winning momentum in order to maintain their dominance at the top of their zone table. U Mumba produced a masterful display early in the game against Bengaluru Bulls yesterday but their energy faded in the later stages of the match as the Bulls tormented them till the last minute. Mumba will look to avoid such lapse in their performance against Tamil Thalaivas, who have not been at their best lately. What time will the Pro Kabaddi League (PKL) 2018 match between U Mumba and Tamil Thalaivas start? The match between U Mumba and Tamil Thalaivas will start at 8 pm India time. Where will be the Pro Kabaddi League 2018 match U Mumba vs Tamil Thalaivas be played? The PKL 2018 match U Mumba vs Tamil Thalaivas will be played in Mumbai. Which TV channel will broadcast Pro Kabaddi League 2018 match between U Mumba and Tamil Thalaivas? The PKL match between U Mumba and Tamil Thalaivas will be aired live on Star Sports 2 and Star Sports 2 HD. What are the squads for the Pro Kabaddi League 2018 match U Mumba vs Tamil Thalaivas?